Dr. von Menges heads the firm’s Biotechnology team and advises German and international clients on patent cases related to life sciences, biotechnology and pharmaceuticals. 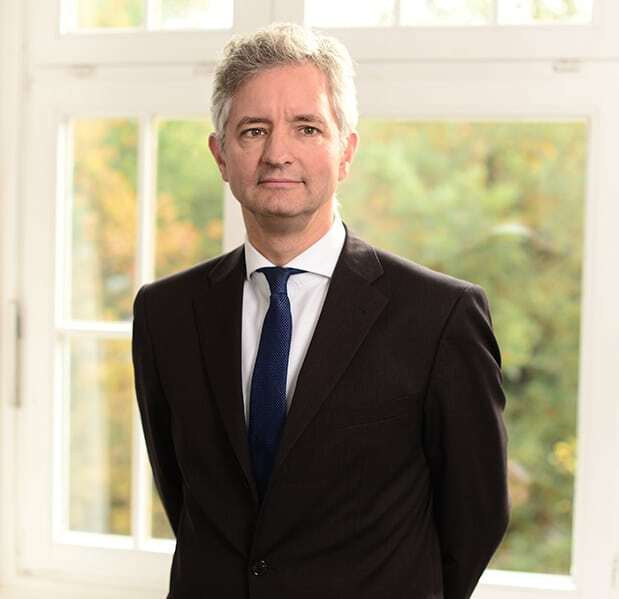 Dr. von Menges has extensive experience in representing clients in opposition proceedings before the European Patent Office and in litigation before German courts. Dr. von Menges received his training as a German and European patent attorney at Uexküll & Stolberg. Previously, he studied Biology with particular emphasis on biochemistry and genetics in Göttingen, Zürich, Braunschweig, and Cologne. For his diploma thesis, he worked at the Max-Planck-Institute for Plant Genetics and Breeding in Cologne. He received a PhD from the University of Cologne for a dissertation in Immunology.